2017 is coming fast! Dairy Farmers of Canada are giving away Free Calendars again! 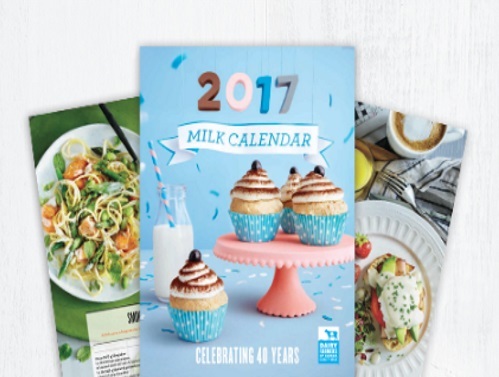 Grab your 2017 Milk Calendar at participating local newspapers at the link below if you're from Ontario or Atlantic Canada. Not in these areas or don't get newspapers? Don't worry, they also offer a mailed version of these calendars every year. We will keep you posted once those are available. Update Nov 6 - You can also order a Free Calendar to be mailed to you here! Have been receiving these calendars for a few years. They are the ones I hang in my kitchen.